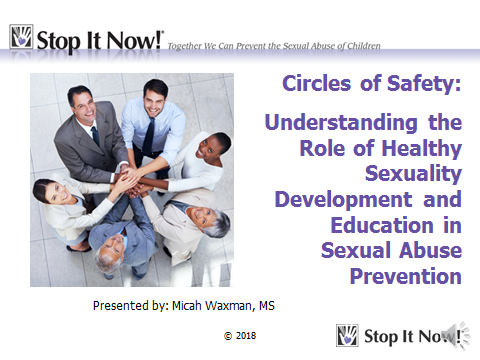 Stop It Now!’s on-demand training videos allow adults who want to create safe environments for children opportunities to learn in the comfort and privacy of their own offices and homes. For more information, read our FAQs. 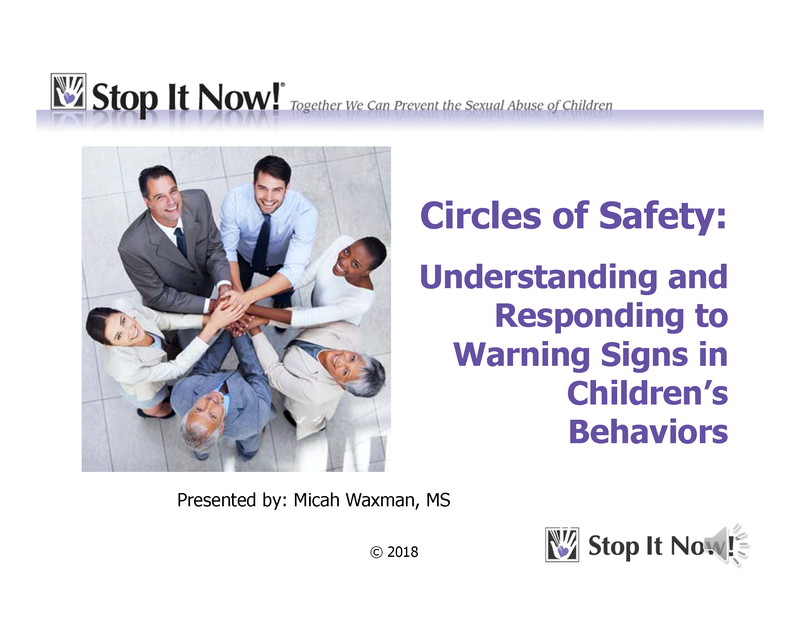 This training video introduces information and tools to recognize young children’s and pre-teen’s sexually concerning and problematic behaviors. Click here to learn more. This training video is for children’s caregivers to prepare them to promote healthy sexuality development for children, as a core activity necessary for child sexual abuse prevention. Click here to learn more.